Finally HotDogDayz Radio has come BACK... to Seattle... or something. The show continues on without me, as I'm still knee deep in real life and will likely be for a while yet. So I called upon my little brother to help out for this episode. With summer coming to it's official end, RO'B takes to the airwaves to spin some sets inspired by the various block parties he attended in Seattle over the past few months. It's a fun show. Check it out! 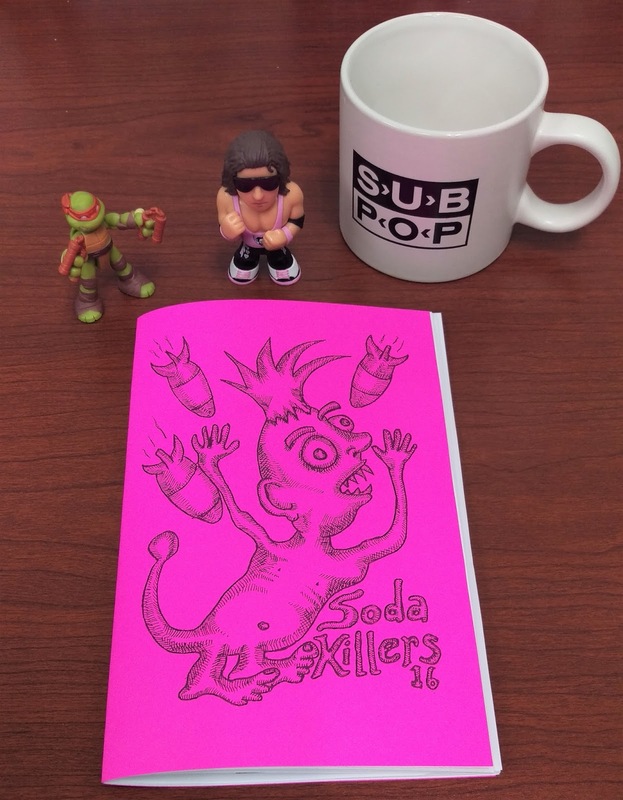 Soda Killers Magazine #16 OUT NOW~! Featuring the seedy underbelly of multi-plex movie theaters, the mental compromise of selling out, '90s emo reclamation, White Wolf Games and the World of Darkness, Paul Baloff's reincarnation as an alcoholic gym teacher, ghetto livin', rap and metal cassette tapes, noise CD-Rs, collage, psychedelic art, and more. With contributions from Sal Petersen, Rory Creedon-Carey, Carl Alessi, Brando Hargen, Muscle Palace Eric, SJC, Michael Francis, Food Fortunata, and Nathan G. O'Brien. 40 pages, half-size, cut 'n' paste, photocopied in black & white w/some color. Brando Hargen steps in with some unique sets of far-out sounds that will both pique and torture your eardrums - fastcore, grind, powerviolence, metal, hip-hop, electro, and, ah, other stuff. Brando is a Pacific Northwest-dwelling anti-socialite by way of Long Beach, CA. He specializes in loud noises and humor pertaining to sweaty muscle men. Send your hot dog-related questions to him on Twitter @xenodistortion.